For years, my grandmother in Ohio kept a scarecrow in her backyard. Over time, it's appearance changed from wearing a chef's coat to headwear. Despite the change, I was always fascinated with how the scarecrow was able to do its job because it was just so cute. 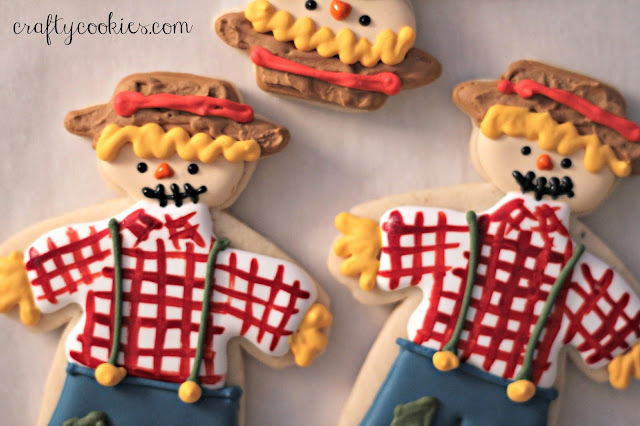 When I saw these cookies by Sugarbelle, I was inspired to make some scarecrow cookies of my own as a tribute to my grandmother. 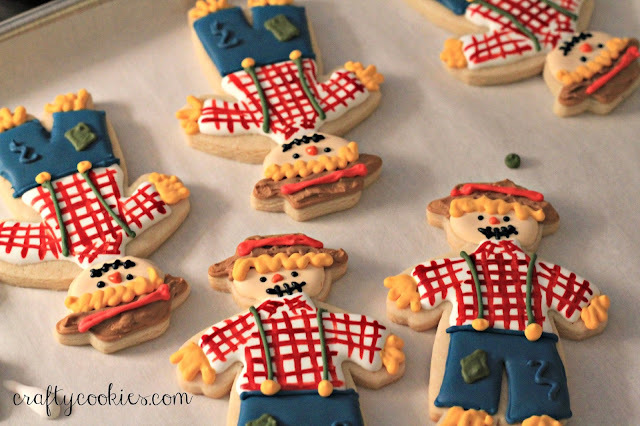 They were a tad labor intensive, but I love the details on his shirt and pants. I used gel food coloring and a paint brush to create the plaid effect on the shirt. The texture on his hat was created by lightly dabbing the icing when it was almost dry. 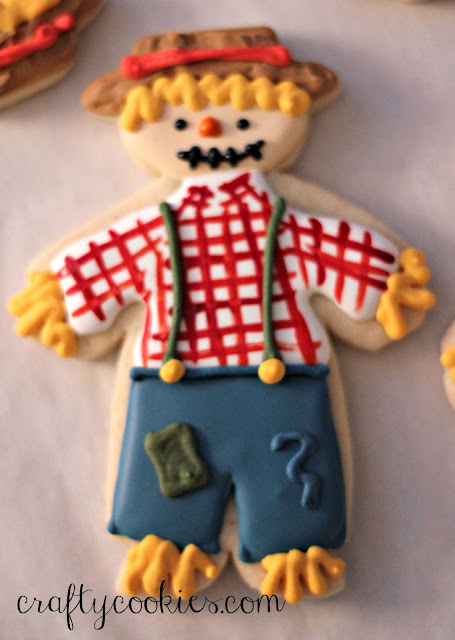 In the words of my grandmother, I think the scarecrow looks "sophisticated," don't you?